Jean-Philippe Mateta is an almost forgotten Bundesliga transfer this season. The club’s general transfer activities have overshadowed the arrival of the most expensive Mainz signing in history. It has been a busy summer of wheeling and dealing for Mainz sporting director Rouven Schröder. On Thursday Mainz sold World Cup star Yoshinori Muto for €10.7 million to Newcastle United. Muto’s transfer was already the third major outgoing transfer this summer. Before Muto’s transfer to Newcastle, Abdou Diallo left for Dortmund for €28 million, and Suat Serdar joined Schalke for €11 million. With all those activities, in fact, there is a general sense that Mainz are being gutted. But the club has been busy signing players as well. Mainz have brought in a small army of talented players to compensate for the loss of key players. 22-year-old midfielder Pierre Kunde has arrived from Atlético Madrid on a deal worth €7.5 million and defender Moussa Niakhaté joins Mainz from Metz in a deal worth €6 million. Mateta, however, is the crown jewel of the incoming transfers this summer. Signed for €8 million, the deal can grow to €10 million after bonuses, from Olympique Lyon Jean-Philippe Mateta is Mainz’s most expensive signing in history. “In Mateta we have landed a top-talent from Olympique Lyon”, Schröder told the media on the club’s official homepage. 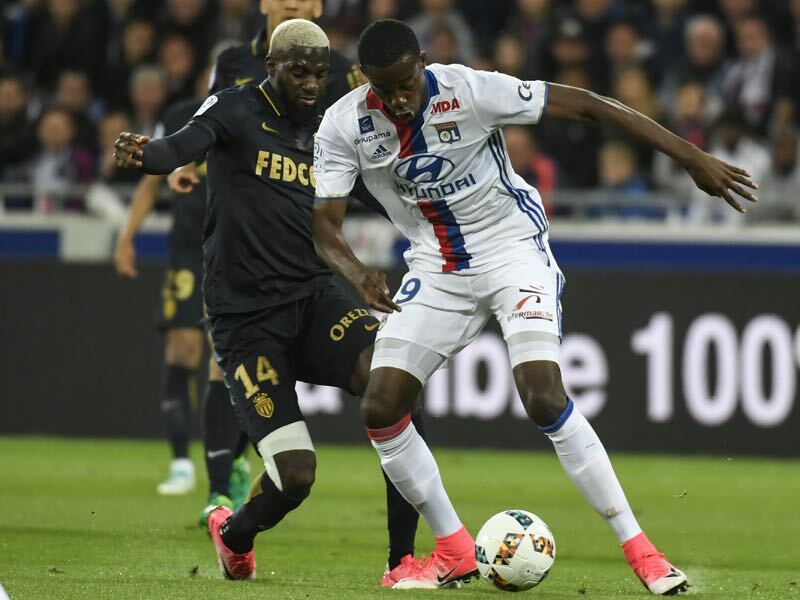 “Playing, in what is a very strong French second division, he highlighted that he can score while playing on a high level. His physical attributes and his style of play have convinced us. Jean-Philippe decided to join us despite interest from England because he is convinced that our concept, and philosophy of developing players was the right next step for him. We now want to help him to make that next step”, Schröder added. On loan from Lyon to the Ligue 2 club Le Havre last season Mateta scored 17 goals in 35 Ligue 2 games, plus two goals in two promotion playoff matches, while on loan to AC Le Havre. A powerful striker Mateta managed a goal every 155 minutes as a 20-year-old in a league that is considered one of the most competitive second divisions in European football. Even though Mateta stands 192cm tall, the striker is fantastic both on the ground and in the air. “Fast with good dribble skills and a booming shot Mateta can score from almost any position on the field”, the Futbolgrad Network’s France expert Thomas Farines explains. “He is good with the head and quite fast for his size”, Farines added. It was not just the goals and height that made Mateta stand out while playing for Le Havre. First and foremost it was his work ethic that made him one of the most liked players at the club. Mateta was described by Oswald Tanchot, his former coach in Le Havre, as a hard-working striker, who was 100% invested in the club despite being only on loan. Despite the positives, there is also one dark mark on the player’s history. Back in 2016, before moving to Lyon when he was still in Chateauroux, he skipped two training sessions to pressure the club to sell him. Back then he was observed by several clubs such as Fiorentina, Tottenham, and Rennes. Instead, he ended up signing for Lyon. Mateta, however, seems to have learned from the incident. Back from Le Havre, he did not pressure Lyon by forcing a move to Mainz. Instead, of asking for a big move, he wanted to head to Mainz to make the next step in his development. 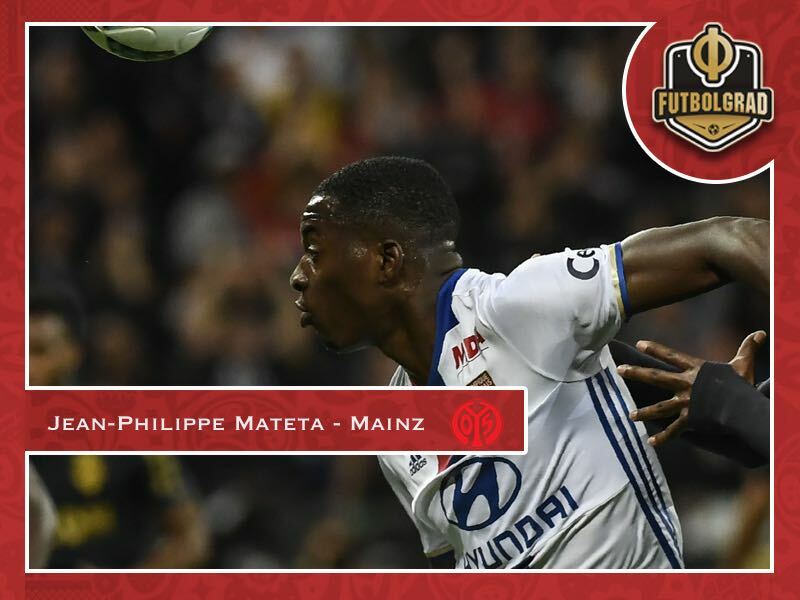 In 1.FSV Mainz, Mateta will now join a club known to develop talented players. Mainz, in turn, will get a player that will be a perfect fit through the club’s rebuild. Led by second-year head coach Sandro Schwarz, the club seemed to have made a point in bringing in younger players that can be developed and sold with a profit. Mateta definitely falls into that category and given that he was already on the radar of big clubs in Europe before joining Lyon big clubs will now follow his development as he heads to Germany to play in one of the most competitive leagues on the continent. Hello, Manuel. How similar do you think Mateta is to Anthony Modeste (former Koln striker). Both are french, and after I watched the video you put above, I put up with some comparisons between them, due to his movements. Good eye, João. Definitely, think that there are some similarities. But Mateta has an even bigger presence I would say.